There are few stories in the fashion world as fascinating as that of Alexander McQueen, the infant terrible of the fashion world who sadly took his own life eight years ago. The film about his life, Mc- Queen, casts an eye on the genius of his catwalk vision, and the personal cost of his brilliance. Told via archive footage, interviews and recreations, we see McQueen’s humble beginnings in East London, and his ascent to the very top of the fashion world as lead designer for Given- chy and then head of his own label. His offbeat creations both scandalised and reinvigorated the fashion industry, and this film talks about the inspiration behind his most famous works. Whether it was powerful statements on society or simply putting something together from the materials he could afford, observing his process will be engrossing regardless of your knowledge of design. We also get to meet Alexander the man, Lee to those close to him. A provocative, driven character with a mischievous streak, we also observe the immense fragility that would begin to unravel him as the world’s attention intensified. 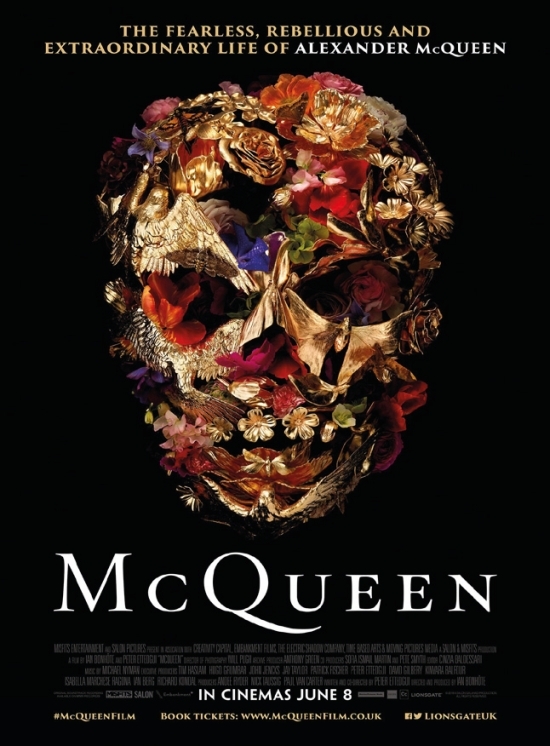 Film makers Bonhôte and Ettedgui use archival interviews with McQueen as a kind of narration, offering a surprising insight into his mindset as it was happening. One area that is perhaps skimmed over is the issues surrounding his weight loss and drug use, creating an elephant in the room in an otherwise meticulous examination of craft and character. However, there’s one thing that’s never in question throughout the film – how much McQueen was loved. From fashionistas who talk of his work with wide-eyed enthusiasm, to colleagues who tear up at the mention of his name, to family members who exude warmth and concern when recalling his journey through life. A lot of films about recently deceased artists can focus too much on the positive, feeling a little bit like an advert for the subject’s legacy (music documentaries are particularly guilty of this). However, with McQueen the affection is always palatable, and helps to add colour to the parts of the story footage can’t. McQueen is neither examination nor celebration, but rather a testament of a notorious career, and life, cut far too short. There are meditations on fame and loneliness, however for those interested in the creativity behind the headlines, it is a chance to get inside the head of a master.